during the vacation care period. We had forty five children in our care that day and all of them were engaged in all the activities provided by their staff member. 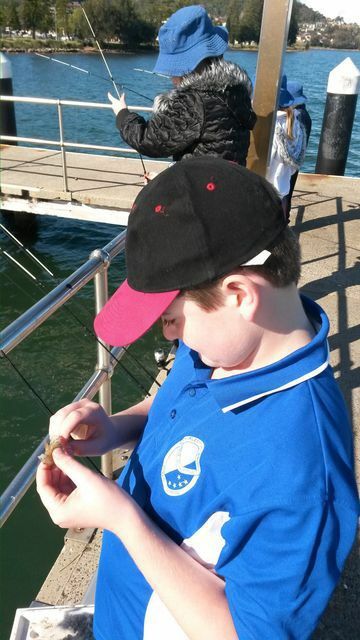 Fifteen children even caught a fish which provided a lot of excitement within our group. 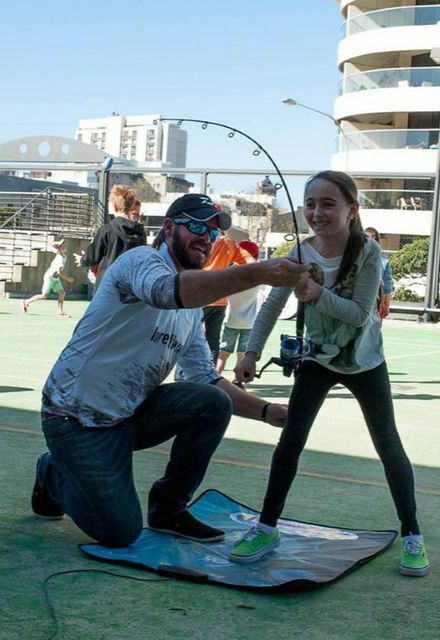 The Young Guns team did an excellent job teaching the kids about different type of fish, how to cast (in a very safe setting) and transmitted their passion towards fishing in a safe yet fun way. This excursion has been one of the most exciting experience for the children as well as for the staff. 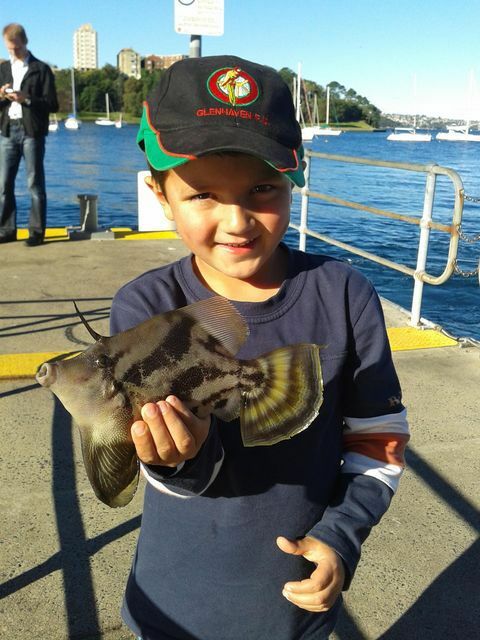 After the children went home, the parents were thanking us for offering this experience to their child, thanks to Young Guns Fishing Adventures. 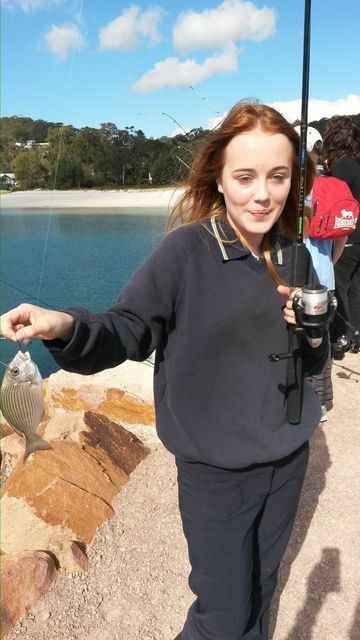 We are definitely going fishing again soon!" A specialized program created for children ages 4 - 16 years, where the students are taken on an interactive educational outdoor adventure with all equipment provided FREE for up to 60 students per 4 hour session! Qualified instructors with 10 years experience teaching children through to adults. All staff under-go working with children checks and holds a current Certificate for Self-Employed People in Child Related Employment & SFA. 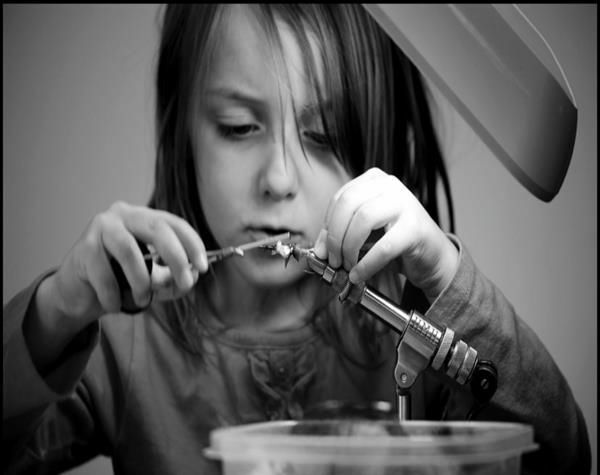 Children are separated into age groups and provided professional instruction appropriate for each age group. Risk & Venue Assessments have been accepted and listed on DET Intranet Portal. Amenities, hand washing facilities, sunscreen on site. Wet weather facilities available so not even the rain can ruin the day! It's not just about fishing. Other activities include their own fishing activity booklets to take home, memory games, accuracy casting at targets and more! Over 70 sensational venues to choose from! We provide the incursion program over 3 hours of fun! Qualified instructors with 15 years experience teaching children through to adults. 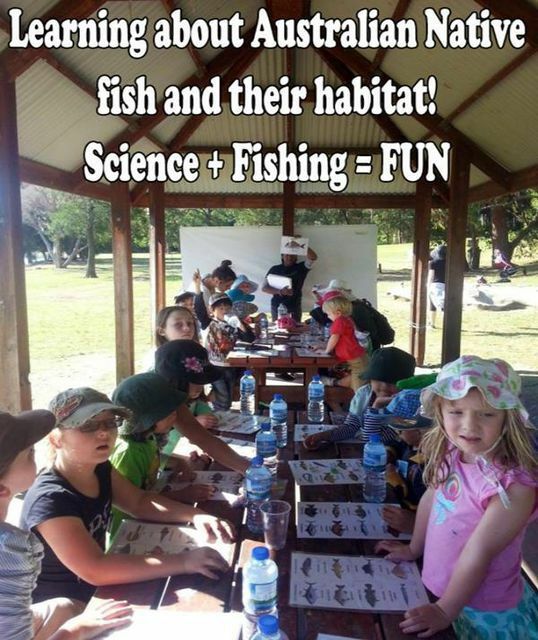 Other activities include their own fishing activity booklets to take home, learning how to bait up, Fish bingo, accuracy casting at targets and more! Booking dates are running out fast!!! Make sure you don't miss out on this fun-filled program! Check out some of our many testimonials here! 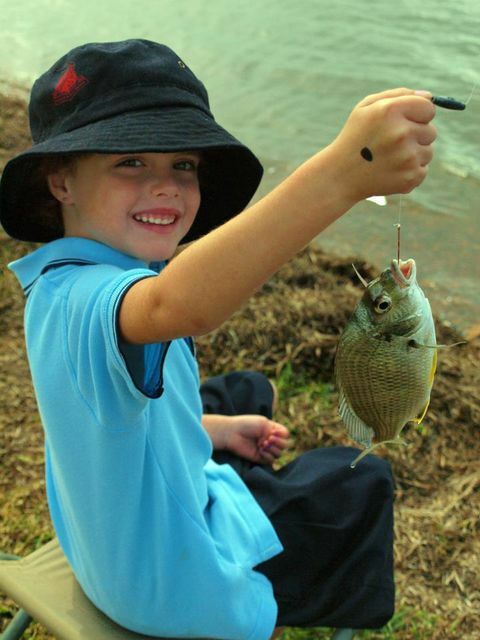 In this activity children are able to learn about the anatomy of fish and how to prepare a fish to eat. Children are seated through out the demonstration to look at the fish and all of its interesting bit and pieces. Once it has been confirmed there are no relevant allergies, if they are behaving well, they will be invited to feel a fish scale and other parts of the fish. 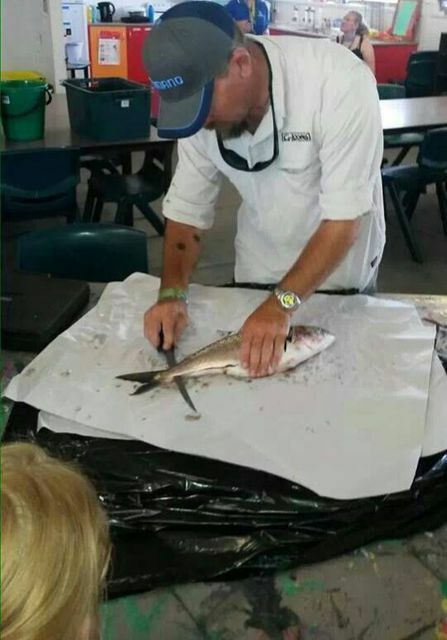 A Young Guns staff member will begin to dissect the fish showing and explaining to the children what each piece is and how it works. The children will get to look at the fish from inside out! We look at the gills, heart, intestines, bone structure ect and may even be able to find he’s last meal. We then show the children how to clean, scale and fillet a fish so it is ready to cook. Children are encouraged to stay seated and ask lots of questions. The virtual fishing Simulator is delighting everyone who gets an opportunity to experience this authentic fishing re-creation! Players are scored on their fishing technique, maintaining adequate tension on the line, keeping the rod tip up and reeling in or allowing the fish to run as appropriate. Poor fish play can result in the fish being lost and, the better the players' technique, the higher the score. An accurate weight of the fish caught is shown at the end of play! Even 4 & 5 year olds can enjoy this with the settings lightened on the smaller fish through to 16 year olds trying to land something bigger! 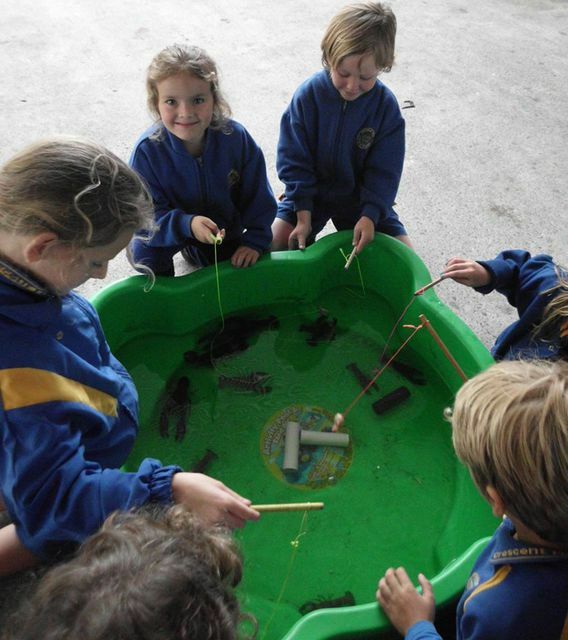 Two children can fish at the same time whilst the rest cheer them on! A tournament scenario is in play to see who land the biggest fish or gets the most point with great prizes to win! Can be done indoors or outdoors! 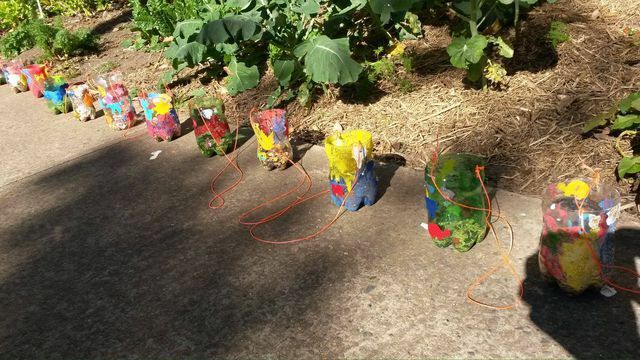 This Activity involve the kids learning how to tie Fly's. Fly’s are used for finesse fishing and is a cheaper and more efficient way of fishing. The Instructor will give a demonstration on some different Fly’s to tie. The children will then participate in the action of designing there very own Fly. They then will create the fly they have designed to make with the supplied materials given by the Young Guns Crew. And the even get to take it home in a snap lock bag to show mum and dad! Why are worms good bait to catch freshwater fish? How do fish eat worms in their natural habitat? How do the worms get in the water? Birds of course! Birds drop all sorts of fabulous yummy things in the water for fish to eat! 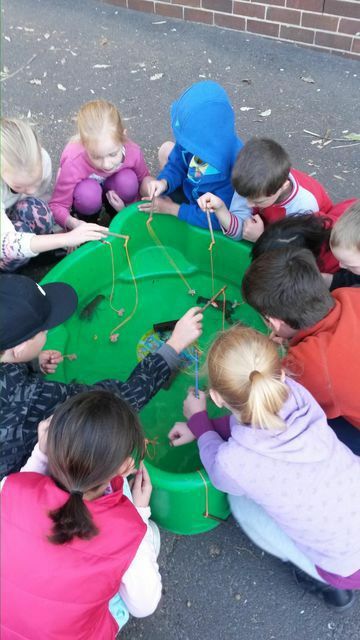 Well that's only one way worms get in the water as we know, but children love learning about the many ways animals interact within an ecosystem! 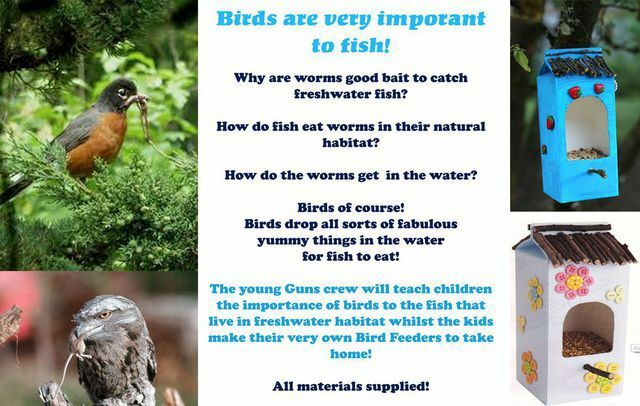 The young Guns crew will teach children the importance of birds to the fish that live in freshwater habitat whilst the kids make their very own Bird Feeders to take home! are one they will remember!